The Last Mile, a tech incubator at San Quentin State Prison, allows a select group of inmates to form startup ideas and pitch them to venture capitalists. Launched in 2011, The Last Mile is a six-month technology course taught at San Quentin State Prison. 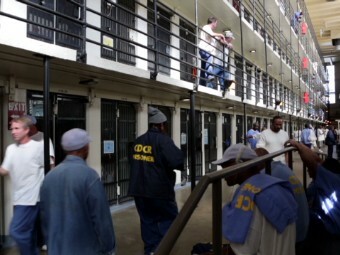 The inmates are taught by tech entrepreneurs from LinkedIn (LNKD), Quora and other Silicon Valley companies that operate just an hour away from the prison. Each year, at the conclusion of the program, the inmates create ideas for apps and startups. On "demo day," they pitch their concepts to venture capitalists and program supporters like M.C. Hammer. The Last Mile is aimed at helping inmates find their voice and -- for those who do leave -- a job.